After almost 20 years in the Chinese automotive market, Abdul Latif Jameel’s commitment to putting customers first is earning it a reputation to be proud of. ‘Big’ just doesn’t even cover it. It has been the largest market in the world measured by automobile unit production since 2008. Since 2009, annual production of automobiles in China exceeds that of the European Union or that of the United States and Japan combined. The Government of China views its automotive industry, including the auto parts sector, as one of the country’s pillar industries. China continues to be the world’s largest vehicle market with sales of over 28 million units in 2016, a year-on-year growth of 9% from 2015 (and according to the China Passenger Car Association (CPCA), new car sales in China grew at an average of 7% each year between 2013 and 2017, Over the same period, the used car market also grew by 10% per year.). The Chinese Central Government expects that China’s automobile output will reach 30 million units by 2020 and 35 million by 2025. The Government’s ‘Made in China 2025’ is an initiative to upgrade the country’s industry from low-cost mass production to higher value-added advanced manufacturing. It prioritizes 10 sectors, including the auto sector. Given this size and importance, it’s no wonder that consumer choice is king, and so with such a demanding public, achieving an outstanding customer service experience is no mean feat. For Abdul Latif Jameel Motors in China, which later this year celebrates its 20th anniversary, this has been a fast-paced and exciting environment in which to operate. 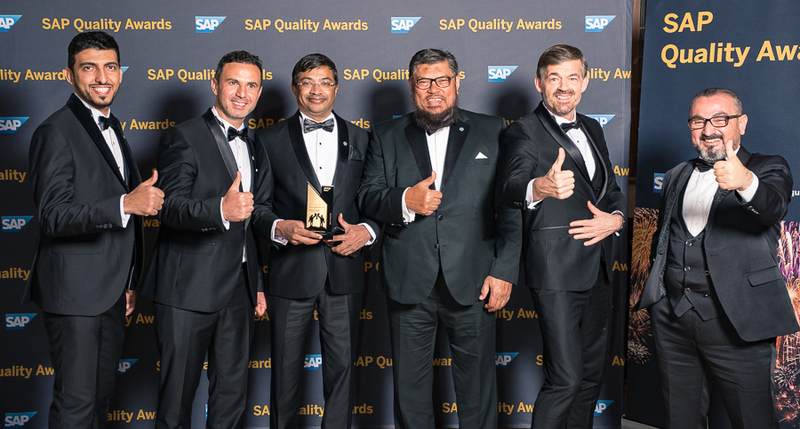 It has also been a landscape in which Abdul Latif Jameel’s commitment to exceptional customer service has secured unprecedented success. In addition, almost all foreign brands are present, either as imports or as locally manufactured products through joint venture partnerships with the domestic giants. 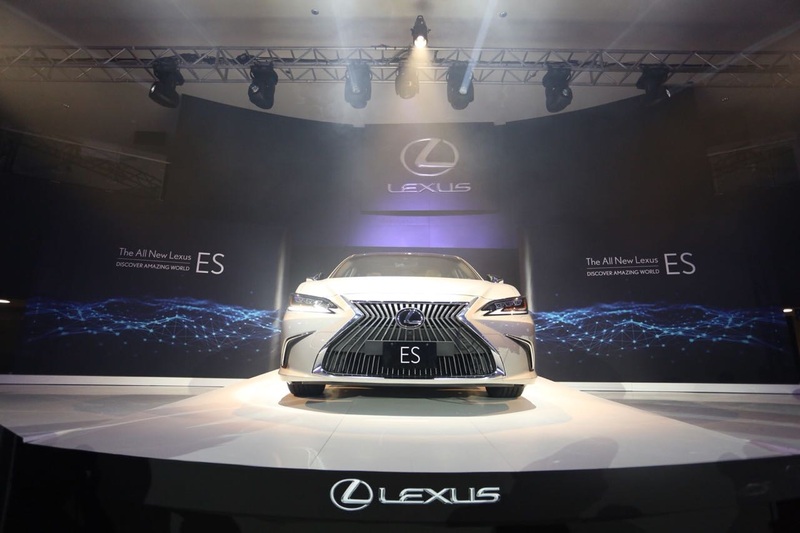 Abdul Latif Jameel Motors has eight branches in China: Chengdu FTMS, Chengdu GTMC and Leshan FTMS in Sichuan Province; Yinchuan FTMS in Ningxia Province; Wuhan FTMS and Wuhan Lexus in Hubei Province; and Qingdao FTMS and Laizhou FTMS in Shandong Province. Abdul Latif Jameel’s cumulative new car sales in China reached 90,000 at the end of 2017. However, those figures alone do not tell the whole story. Capitalizing on the insights and experience gained through more than 60 years of operations in Saudi Arabia, (and across the Middle East North Africa, Turkey and Europe) including a commitment to a ‘Guest First’ philosophy and Kaizen approach to all operations, developed by Toyota Motor Corporation over many decades, Abdul Latif Jameel Motors’ commitment to customer service excellence saw it scoop several high-profile awards in 2017. Following an end of year review by FAW-Toyota Motor Sales (FTMS) of its dealer network, Abdul Latif Jameel Motors’ China operations in Chengdu was rated top out of 545 dealers in customer service, pre-owned vehicles and parts, and accessories sales. 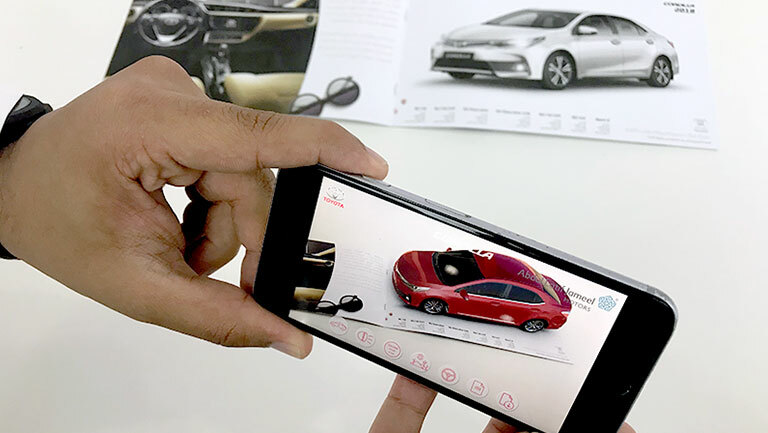 In addition, the Abdul Latif Jameel Motors operation in Qingdao was rated in the top three of 545 dealers for customer service. Overall, Abdul Latif Jameel Motors China was given Toyota Gold and Silver awards, the highest awards given by FTMS to its dealers, based on their overall performance. These awards were in large part due to its philosophy, first developed in Saudi Arabia, of treating customers as guests. A warm welcome, exceptional service and comfortable surroundings are central to the Abdul Latif Jameel Motors in China offering. To get everyone in the business involved and focused on delivering the best guest experience the ‘Do a little bit more for your Customer’ activities was initiative implemented by George three years ago. It aims to drive awareness and encourage every member of the China staff to both think and, more importantly, do a little bit for their customer. To lead by example good stories from each branch are selected and shared with across all China staff on a monthly basis, with George visiting each branch quarterly to reward those staff who went the extra mile and express his thanks to them personally. Selected stories are also made into case studies to share with customers. Three unique focuses have helped to propel Abdul Latif Jameel Motors in China to the forefront of the Chinese automotive market. First visit experience: Abdul Latif Jameel Motors in China aims to set an unprecedented first impression and standard of welcome for guests on their first visit to one of its branches. Perfect experience: The Abdul Latif Jameel ethos of delivering a perfect customer experience (APE, or ALJ Perfect Experience) to all guests. Vehicle passport: A vehicle passport service to provide additional value to loyal guests. At Chengdu, this commitment to guests is demonstrated by its late-night service event (called “Midnight Canteen” in Chinese). This is a specific event aimed at people who cannot attend the branch during the day. Instead, they are invited to a late-night event after work, where they are also provided with an evening meal, totally free of charge. The event has proved very popular with Chengdu guests. Abdul Latif Jameel Motors’ China operations in Chengdu were also recognized for their valuable contribution to the FTMS Club, which aims to improve guest retention by implementing the FTMS Club system. 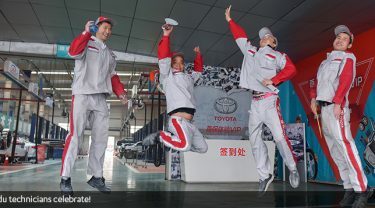 Another innovative initiative that exemplifies the efforts that Abdul Latif Jameel Motors in China goes to in order to exceed guest expectations is a customer education and familiarization program launched at the beginning of 2017 called ‘1st Time Service Experience’, aimed at guests servicing their new Toyota vehicle for the first time. The program aims to provide a better understanding of the high standards guests can expect from Abdul Latif Jameel Motors as a ‘Gold’ certified Toyota dealer. In addition, it aims to emphasize the importance of using genuine parts to keep their vehicle operating as the manufacturer designed it. On top of this, training and development remains as critical in Abdul Latif Jameel Motors in China as it does in the rest of Abdul Latif Jameel’s worldwide operations. Every member of the 715-strong team in China received training in 2017, while the consolidated training time across the Abdul Latif Jameel Motors in China sales team was over 7,000 hours. For the service team, the figure was over 6,800 hours. 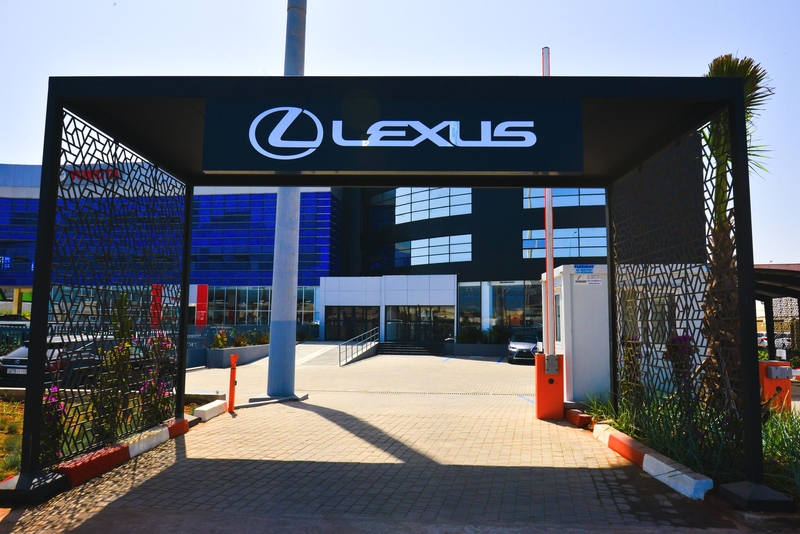 “We are proud to represent one of the world’s most recognized passenger vehicle brands in Toyota and Lexus in China. Our commitment to adding value, industry experience, and deep roots in the country has seen us recognized as an automotive partner of choice. Globally, we are one of the world’s leading independent Toyota distributors, being a trusted strategic partner for more than 60 years. 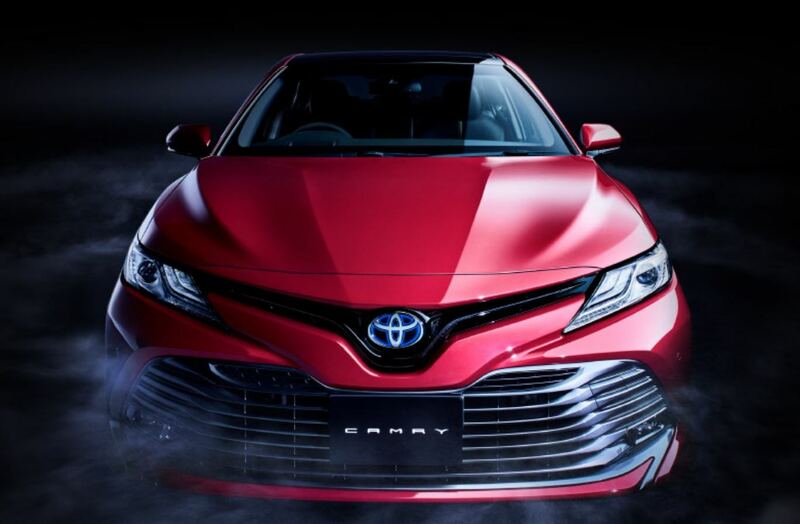 Our consumer-focused, Guest-First philosophy combined with a Kaizen continuous improvement ethos has been the basis of this strong and enduring partnership with Toyota and remains at the heart of everything we do. “RIA Novosti – World – China becomes world’s largest car market”. En.rian.ru. Retrieved 2009-04-28. “China emerges as world’s auto epicenter – Politics- msnbc.com”. MSNBC. 2009-05-20. Archived from the original on 19 May 2009. Retrieved 2009-05-25. “More cars are now sold in China than in America”. The Economist. 2009-10-23. “China car exports up almost 50 percent in 2011”. Inautonews.com. 2012-01-20. Retrieved 2014-01-05.